August « 2012 « Shuffling Along . . . . .
Like most people I like gadgets & when the new Suunto Ambit came out I was at the front of the queue. I’d been looking at ways to extend the battery life on my Garmin 310XT which lasted around 20 hours with everything turned off, apart from the mileage. The blurb on the new Suunto suggested 50 hours battery life! This is in fact only partly true as you still need to change the polling time the watch updated the GPS position from every second to every 60 seconds. 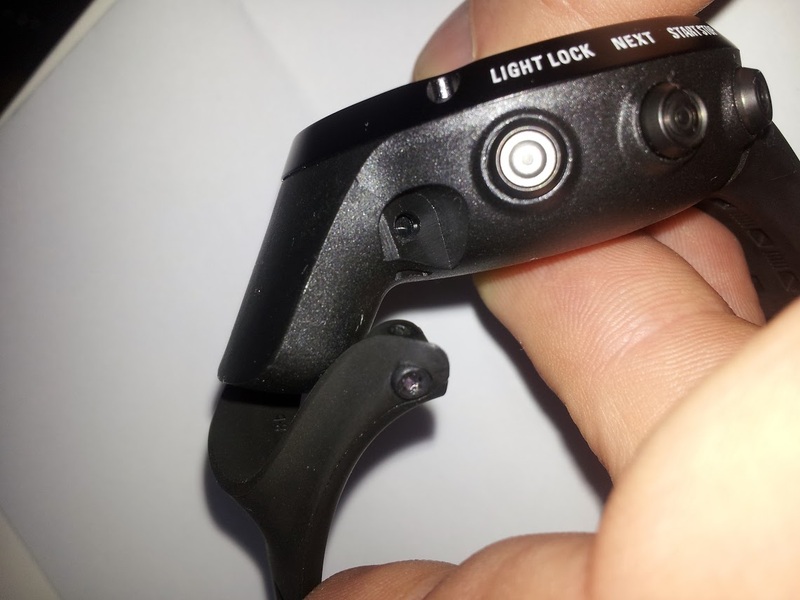 This can make the watch inaccurate if you do a lot of right angle turns as I found on the Viking Way ultra which had a lot of running around the borders of fields. The Suunto assumes your running in a straight line and just cuts all the corners off. I’m not going to go into every feature on the watch as it’s all been covered elsewhere & better than I could do so I’ll just tell you about the problems I’ve found in using the watch over a couple of thousand miles of running in all-weather & wearing it every day. Yes you can wear it every day which makes it much better in my mind than a Garmin as it looks good enough to wear out & about without making you look too much of a running geek. It even has a clever sleep mode which it goes into when it’s left without being moved for a while. I got the black version which looks to me a little more discreet than the silver one. After a couple of uneventful weeks of using the Ambit I went for a long run on one of the hottest days of the year & noticed the display had begun to bleed from black to gray around the edges. It’s still doing this a couple of months later so needs to be returned to Suunto for a repair. The second problem happened 50 miles into the Ridgeway 85 ultra when I stopped at a checkpoint and the watch strap fell to pieces. If it had happened a few miles earlier I would have lost the watch. The metal post which goes through the clasp has two screws & one of them came loose and dropped off. Not something you expect from a watch costing £400! I had to resort to using my trusty Garmin 310XT which has (touch wood) never let me down. This problem could possibly be solved by a couple of drops of super glue on the small screws but should you have to on a watch at this price? I contacted Suunto about the screen problem & they told me to send it back to them & they would repair it. I would then have to wait with no watch for my next couple of events for the watch to be sent back through the post. If they don’t have a permanent solution to this problem I wouldn’t be able to trust this strap again, it’s only a matter of time before it works loose again & it wont take a normal strap because of the GPS sensor being in the way. So to sum up, good watch spoiled by lack of development. On the NDW100 it had a breakdown and lost all my runs, it read 147 miles at 82! Sent it back again this morning and it wont be back for another two weeks, my next race (Ridgeway 85) is only 10 days away. So not happy with Suunto. Suunto have just sent me this email description of the work on my watch, which is on its way back from Finland again. . . .
Just got back from completing the Brecon Beacons Ultra & as I plugged the Ambit in to download my race I noticed a line of dots missing from the display. I went the Sunnto site to fill in another service request only to find after filling in the serial number in the online form, the watch I got as a replacement after the last fault was out of warranty! Luckily I have the original receipt of purchase. The watch is still within the 2 year warranty period. Lets see what happens this time. . . . I received an email from Suunto which stated they were going to replace the watch & put a new watch on my old strap as the old one (see above) wasn’t repairable due to the screen fault. When I received the watch from Finland the strap had a screw missing and the buttons on the sides of the watch were sticking. I emailed Suunto again and they said send it back to them again! It’s with them again as I write this, lets see what they do with it this time. . . .
Suunto decided they couldn’t fix the watch & sent me a new Ambit 2 which is brilliant with no faults so far. Until that is, you try to upload your run data to a Windows 7 64-bit computer when the software falls over & crashes. This is a very well-known fault with the Suunto Moveslink2 software & they (Suunto) don’t seem to be able to fix that either, this is the reply they sent me after 5 different fixes they suggested didn’t work & the last fix left my computer flashing up a fault code every time I started it. email from Suunto customer support . . . . . If the troubleshooting steps do not work we would suggest waiting for a new release of the Moveslink2 application which we hope will solve the issue. It should be released in just a few months. So there you have it, that’s Suunto’s idea of customer support & product development. If the watch doesn’t work when you buy it, just wait a few months until they decide to bring out a fix! latest software version 2.5.6. crashed the watch during a race & lost my run data & all my earlier run logs. It wont even tell the time now. On its way back to Finland again, update to follow. . .
under developed for a £400 watch, I have a Seiko divers watch & it’s never let me down in 30 years. A watch billed as the greatest adventurers watch shouldn’t fall apart in a couple of months.